In the screencast below, we'll learn how to create a GeoGebra resource with MODIFIED TOOLBAR that helps students quickly discover (or RE-discover) a concept they often learn in both Algebra 1 and Geometry. Modifying the GeoGebra toolbar is a POWERFUL MEANS through which teachers can differentiate each student's level of active engagement in discovering mathematics concepts! The GeoGebra applet below was taken from this resource. 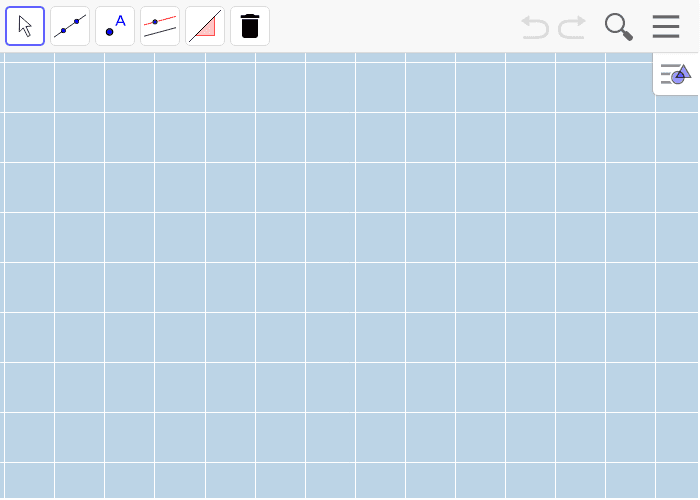 Here, students can engage with this resource to quickly discover (or rediscover) that any 2 (non-vertical) lines graphed in the coordinate plane always have the same slope.